Dr. Cuncong Zhong is currently an assistant professor at the Department of Electrical Engineering and Computer Science, University of Kansas (KU). 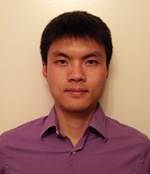 His primary research interests include bioinformatics and algorithm design. Prior to joining KU, he received his postdoctoral training at the J. Craig Venter Institute (JCVI). At JCVI, he developed a suite of computational methods for metagenomics and metatranscriptomics analysis, and applying these approaches for better understanding of the human microbiome. Dr. Zhong obtained his Ph.D in Computer Science from the University of Central Florida in 2013, where he developed algorithms for studies of non-coding RNA structure and genomics.